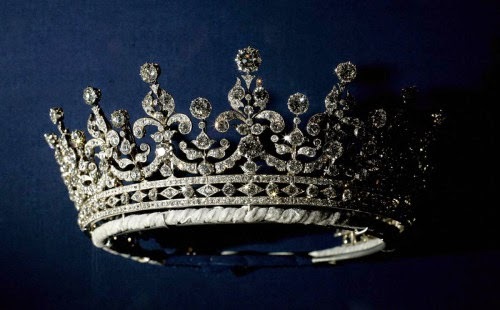 Crown jewels is referred generally to the royal ornaments that were used in the ceremony of consecration and formal ensigns of monarchy which was worn or carried on the occasion of the state. The Order of St. Patrick seemed to be an order of knights which King George III had established in 1783 and members of the noble families and aristocratic deemed worthy had been granted knighthoods who became Knights of St. Patrick. This was an Irish equivalent of the English Order of the Garter and the Scottish Order of the Thistle. As first monarch of Ireland and later of the United Kingdom, the British monarch was the Sovereign of Order and the Lord Lieutenant of Ireland had been the Grand Master in the absence of the Sovereign, the insignia of which was worn by the Sovereign. This was worn at the investiture of new Knights being members of the Order as well as by the Grand Master of the occasion of other formal ceremonies. This granting of knighthoods was a way of rewarding them and ensuring loyalty which took place in St. Patrick’s hall where the reigning monarch presided over the events. The name – Irish Crown Jewels was given to the valuable jewelled objects that the monarch wore at the time of the ceremony which were decorated with diamonds, rubies, and emeralds together with other precious stones. When not in use the Irish Crown Jewels were stored in bank vault and in 1903, it was decided to store them at Dublin Castle where a new strong room was installed but the safe prepared to store the jewel was too wide to fit through the doorway of the strong room. It was then decided that the safe together with its precious jewels should be stored in a room having seven locks accompanied with two locks on the safe. The seven latch keys to the door of the Office of Arms were held by the Vicars together with his staff while two keys of the safe with the insignia were in the custody of Vicars who were known to be regularly drunk on overnight duty, who once awoke finding the jewels around his neck. Four days later, the jewels were found missing before a visit by King Edward VII in 1907 who was furious since he had intentions of granting a Knighthood on Lord Castletown of Queen’s Country. Though many were blamed for its disappearance, the whereabouts of the Irish Crown Jewels is yet a mystery. The insignia was worn last by Lord Aberdeen, the Lord Lieutenant on March 15, 1907 at a ceremony of Saint Patrick’s Day on 17 March and was last known to be in the safe on 11 June when it was shown to a visitor to the office by the Vicars. The jewels were found missing on 6 July 1907, four days prior to the start of a visit to the Irish International Exhibition by King Edward VII and Queen Alexandra at a planned investiture of Bernard FitzPatrick, 2nd Baron Castletown in the Order. Though the visit materialised, the investiture ceremony had to be cancelled. The jewels stolen were said to be of value of £1,050.